So let’s talk about alchemy, the magical art of turning one thing into another, or usually, crap into gold (alchemy, after all, plays a small role in the film). For Potter fanboys, this is (in many respects) another welcome view into Rowling’s still magical mind. That’s me, Potter fanboy, so half of me is sold on Fantastic Beasts: The Crimes of Grindewaldeven if I know it’s pure scam. The second I got the email, letting me know that J.K. Rowling needed a few bucks from each of her readers to make her next movie, and could I please just send my bank account number, routing number, DOB and social security number, I was in. I sent it all, willingly, as I’ve never let go of hope that she’d revisit the world she swore off after book 7. So what if it’s a movie and not based off another real, full-length story. It’s all butterbeer to me. For everyone else, you may get a knee-jerk reaction to this adaptation of Rowling's literary leftovers. The Potter crap. Have they turned the source material into gold? Or are they just turning it into gold for themselves through our hard-earned cash at the box office? Warner Bros. is aching to create a cinematic universe. Know this. Thus far, the struggle has been real. Their DC Cinematic Universe Line has not been the wild success like the one created by their far more talented and prettier cousin Marvel. That’s not to say it’s not a valuable property, and that’s not to say they don’t have other valuable properties to try to market to moviegoers. Enter Harry Potter. The first FB film, released in 2016, was a massive success, thus validating the expansion of the cinematic Potterverse. With the films being written by Rowling herself, and continuing to be directed by long-time Potterverse director David Yates, it seems a sound formula. There’s little doubt that it will be at the box office, hence why three more Fantastic Beasts sequels have been announced for release through 2024, essentially taking a closed franchise and extending its lifespan 15 years, as if by alchemy, long enough for Rowling to fully revisit her magical world in book form, or for Warner Bros. to reboot the original film series—something that’s been done on much shorter timelines. Yates, with the ownership of a director who’s now directed the last six Potter films, does a fantastic job of showing the world that he’s built: his interpretation of that which Rowling made. It’s wonderful, especially as we get back to Europe for this go around, allowing us to revisit some of our favorite Potter Haunts of old. 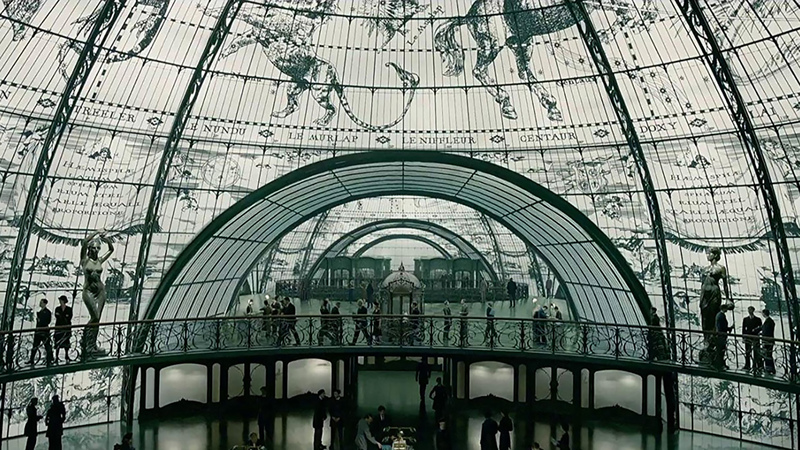 There are familiar creatures, and new, at once satiating Potter devotees with wizard callbacks and the film’s titular magizoological nature. Familiar wizard names, settings and themes abound even more than in the first Fantastic Beasts. The set pieces are incredible, and look like they spared no expense--with a production of $200 million, they likely didn't. What’s less present, is the fun relationship building that happened in the original FB. 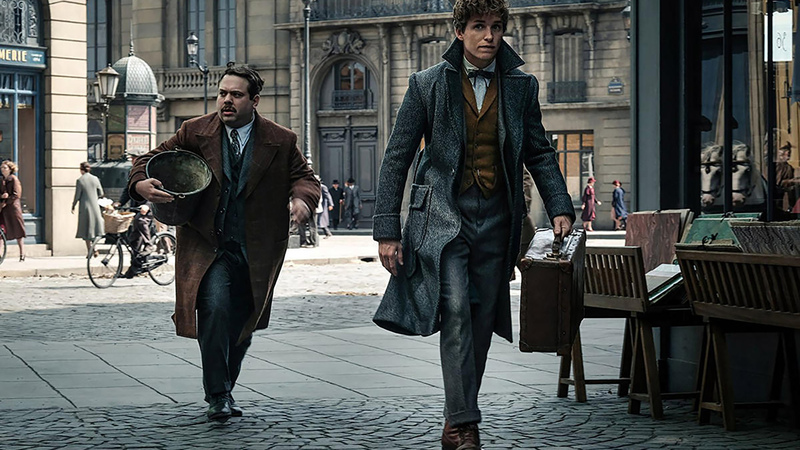 The gang’s all back with New Scamaneder (Eddie Redmayne), Jacob Kowalski (Dan Fogler), Tina Goldstein (Katherine Watersron) and Queenie Goldstein (Alison Sudol), yet what made the original fun with the dynamics between the four driving the film as the loose plot about Newt catching a bunch of magical creatures in Chicago plays out. Watching muggle Jacob be pulled through the magical adventure from an outsider’s perspective infused fresh energy into the story in a welcome way. It made it something new, not just a retelling. This chapter, what with its focus on demonstrating just how evil Grindewald and his followers are, feels more like a retelling. It’s the good wizards must unite to stand up against the bad wizards or everyone will pay, including the poor magicless muggles. To be clear, there’s no time to focus on the central relationships from the first film, so much so that when Queenie says ‘Let’s find my sister and get the gang back together—it will be just like old times’ you laugh when the movie ends and you realize it was nothing like old times. There are so many disparate plot-lines being created and force fed to you that you may feel you’ve taken a turn down Knockturn Alley when you thought you were in Diagon. It’s understandable. Yates (and Rowling) are attempting to create the same narrative drive and emotional resonance for these heroes and villains that she did with 3,400 pages in the original series. It’s an impossible ask, and really, I don't think the average audience member will have that expectation. At the same time, I expect one or two audience members less familiar with the Potterverse, its tropes and its trappings, might find themselves lost once or twice as yet another character is introduced with a weight of gravitas in no way delivered upon. The backstories, the mysteries, they seem contrived, especially when characters suddenly reveal they knew the missing details all along, but neglected to mention it. There's one big reveal that seems to be outside the Potterverse canon, but it's unclear if it's a red herring, something that will remain unique to the films, or a real new detail that fanboys can tweet at each other over, or perhaps open a sub-Reddit on. Oh and I nearly forgot to mention: Dumbledore is back. Of course, we knew this and it's not spoiler territory. 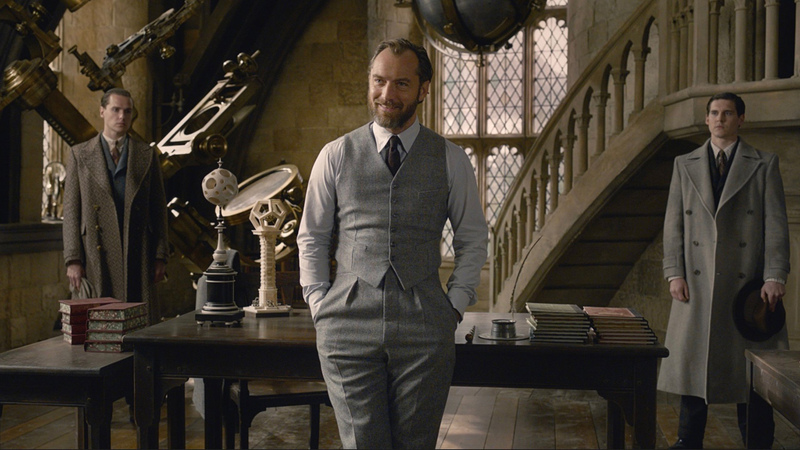 This younger, more dapper-dressed Dumbledore, is played by first time Potterverse player and longtime Brit, Jude Law. Law's great here. He makes a young Dumbledore feel very much like youthful precursor to those who've come before. He might not do very much, but at least he's been resurrected to hit hard when the moment comes somewhere in the next three movies. 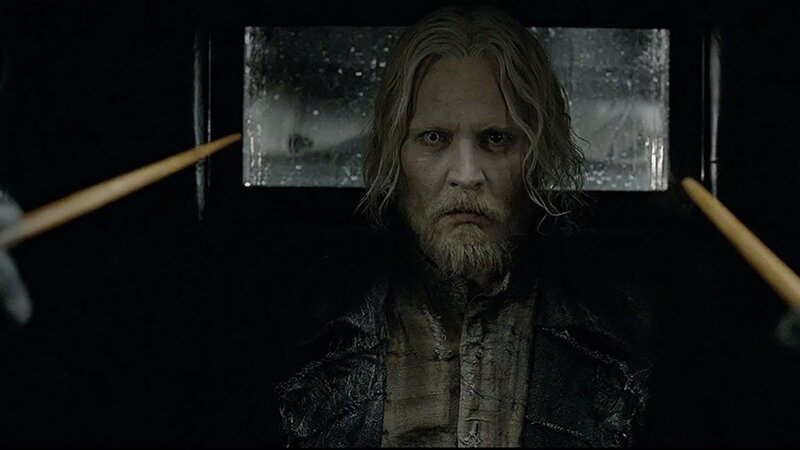 Should we talk about Johny Depp's Grindewald? Probably. It feels like a classic case of bad guys must suffer from physical abnormalities or just plain ugliness to be bad. It's what signals to the audience that they're the bad one, only I thought were had moved past this dated device years and years ago. Sure, some of Grindewald's hunch-wizards are pretty enough, but he falls convincingly into the Voldemort mold, and I, for one, would have welcomed something on this front that differentiated this new Potter installment from the old, especially in the villain department. If you're going to go deeper into the magical world, do it for real. Please us with callbacks, but also please us with originality. Grindewald, despite having some role in the original story, was largely a blank canvas. Yet, despite harnessing Depp, a man known to portray unique characters with gusto, we get a non-remarkable villain. Or perhaps Depp's the problem, perhaps it's his penchant for portraying the unique partly through appearance that hinders this. Mostly, I think it's both. In this case, while audiences will turn out, and largely love it, I think The Crimes of Grindewald could just as easily be a reference to the crimes done against this film by the creative minds behind it. Instead of risking big, they risked little, providing formulaic derivative that doesn't break the mold, merely dusts it off for another round.